Devika designs digital and physical products. She thinks of design as her medium to create compelling, distinctive and engaging work. Her interests of study are wide ranged and sometimes far out; which she brings together through design. 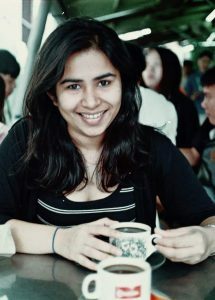 She is passionate about solving problems by innovating through design-led technology and has worked in different capacities as a designer in various parts of Asia and Europe. On weekends, you can find her working mostly on her next ambitious terrarium or bonsai project; attending live jazz, playing badminton or planning my next travel. You can catch a glimpse of her work here.